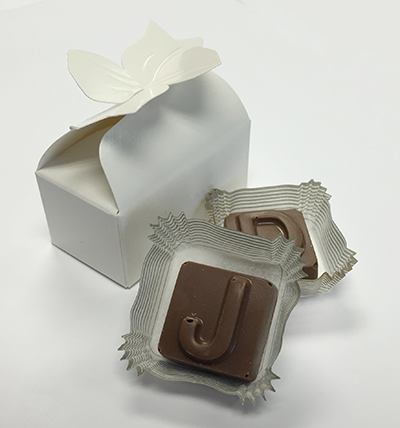 Packed in our cute ribbon boxes, this gift is perfect for any wedding or event party favor! Order Online! Tell us which two characters, and which color box you want, and we'll do the rest! 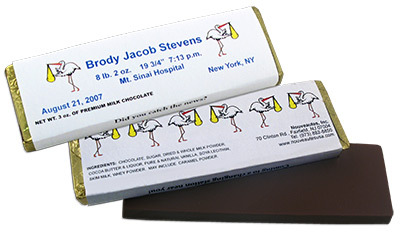 For all of your event or party needs, order multiple characters and foiled sets of any kind! 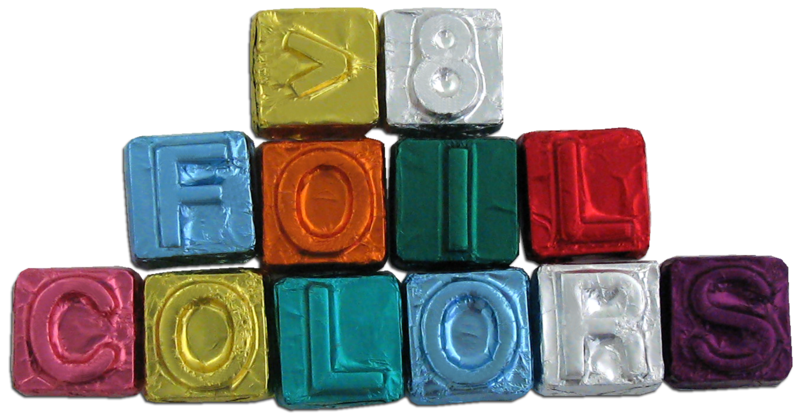 Select from our tabbed menu below the letter, icon, or characters you wish to purchase, then choose your foil color and quantity. 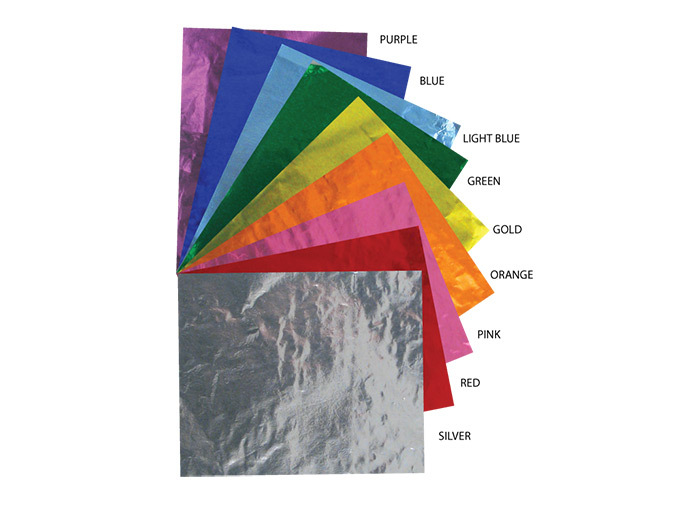 9 Foil Colors to choose from! 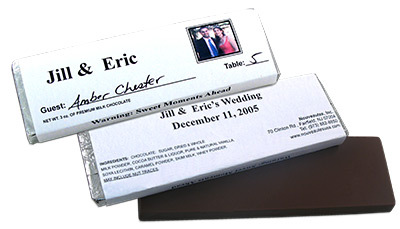 Choose from our pre-made chocolate text boxes below. 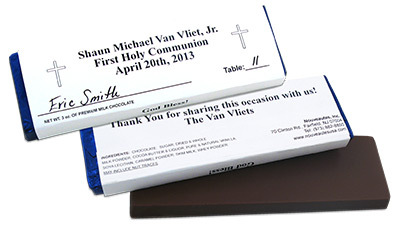 Includes a free card message with every order! 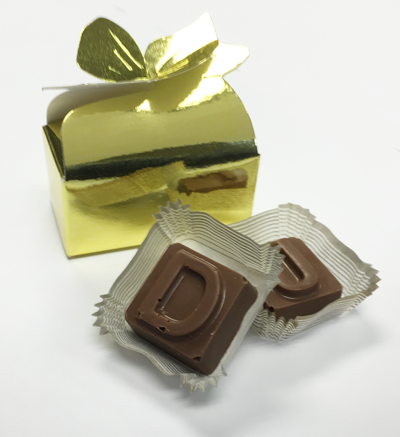 Use our easy-to-use chocolate text editor to create your own box of chocolates! Order as many as you want!